Cape Coral Friends of Wildlife is a 501 (c) (3) Non-profit organization that relies heavily on donations and fund raisers to support their work. All monies received by Cape Coral Friends of Wildlife are used to help protect the wildlife of Cape Coral. All members are volunteers, with no paid members. Back in the 1960's the Rosen Brothers came to Cape Coral to build a massive waterfront community. They brought in the largest collection of earth moving equipment that had ever been seen in Florida and proceeded to level 100 square miles of land and dig 400 miles of canals. The large variety of wildlife that lived here was decimated. What was once lush wooded areas, beautiful meadows, pristine streams, was reduced to a near wasteland. 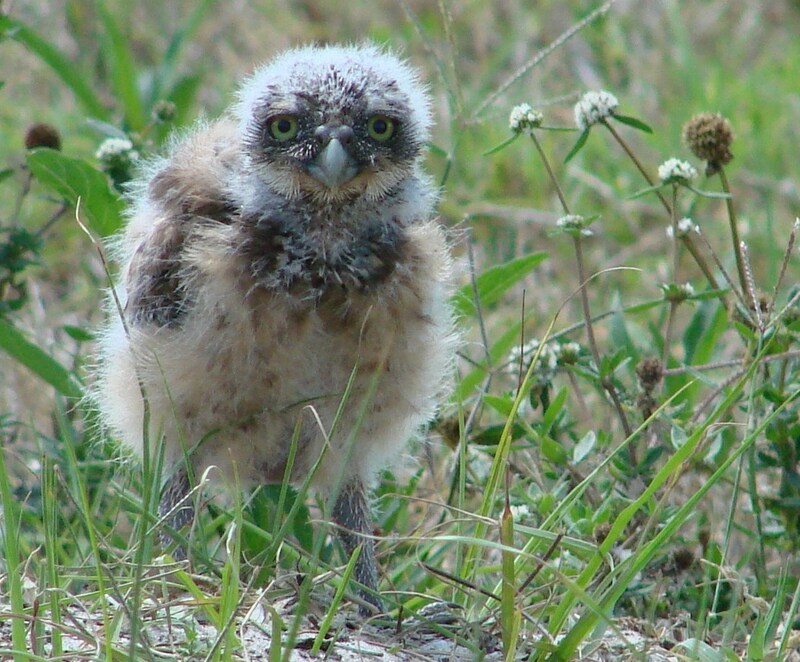 As most of the wildlife left to find suitable habitat, the Burrowing Owls that lived in the outskirts of Lee County and Central Florida, found this prairie like habitat ideal, and began to move in and flourish. As Cape Coral grows, the Florida Scrub Jays, the Burrowing Owls, the Gopher Tortoise and the Bald Eagles and other wildlife that remain in the City are again at risk for extreme habitat loss. Cape Coral Friends of Wildlife is working hard to preserve the habitat that our wildlife so desperately needs. All funding to keep this organization alive is received from donations. If you would like to help preserve the wildlife in Cape Coral, consider a tax-exempt donation. CCFW is a 501-C-3 organization, and all donations are tax deductible as allowed by law. No fees are paid to professional fund-raising consultants or solicitors. The organization receives 100% of each donation. Cape Coral Friends of Wildlife, Inc., Registration # CH36450 has complied with the registration requirements of Chapter 496, Florida Statutes, the Solicitation of Contributions Act. "A COPY OF THE OFFICIAL REGISTRATION AND FINANCIAL INFORMATION MAY BE OBTAINED FROM THE DIVISION OF CONSUMER SERVICES BY CALLING TOLL-FREE (800-435-7352) WITHIN THE STATE. REGISTRATION DOES NOT IMPLY ENDORSEMENT, APPROVAL, OR RECOMMENDATION BY THE STATE"